Send a card and treats to a friend for Valentine’s Day. Want to remain anonymous? We can do that, too. Signup table will be in the SOM lobby Feb. 4-9. 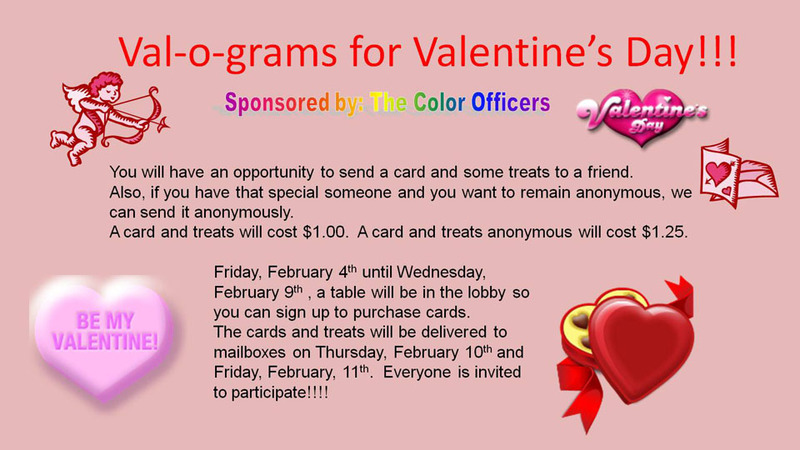 Cards and treats will be delivered to recipient’s mailboxes on Thursday, Feb. 10, and Friday, Feb. 11.